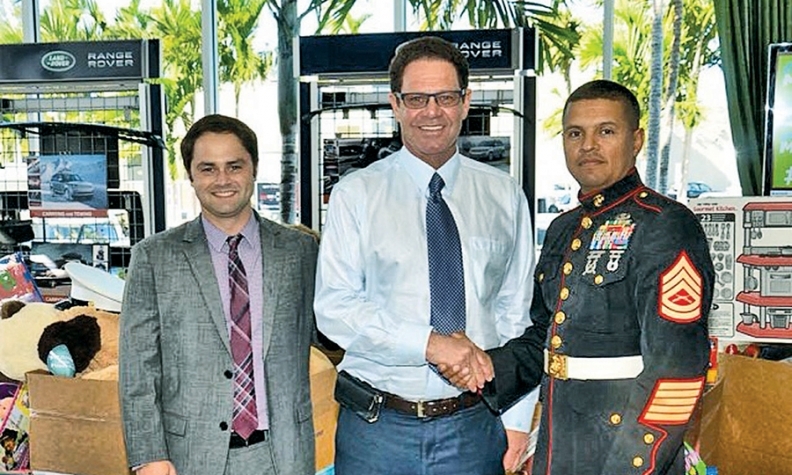 From left: Larry Zinn, general manager of Warren Henry Auto Group; dealer Warren Zinn; and Marine Sgt. Eddie Fonseca, the local coordinator for Toys for Tots for Miami–Dade County. Each year the dealerships collect toys from employees, customers and vendors. * Cool perk: Employees often are given the dealer's tickets to Florida Marlins, Miami Dolphins and Miami Heat games. The seats for the Marlins games are behind home plate. The Dolphins seats are in a suite. When employees go, Zinn makes sure that the suite is set up with food and drinks just as if he was entertaining himself. Sometimes he attends the games, too, and that enables him to get to know his employees on a casual level. * Center Manager Danny Palenzuela on recruiting: "We are offering an internship program for the first time. Also, I have attended local university job fairs to recruit."